Later this month, I will be Appalachian Trail bound for a few weeks. During this time, I will be hosting several sessions of Trail Magic. To say that I’m excited is a Mt. Moosilauke sized understatement. Over the course of the last few years I’ve talked to many about my experiences with Trail Angels and Trail Magic (as the beneficiary). When I describe to others the amount of joy weary hikers glean from a simple spread of oreos, pizza, soda (read: beer), and an empty trash bag, you can see the empathetic swelling of their hearts. This is my chance to give back. And I want to grant you the same opportunity! 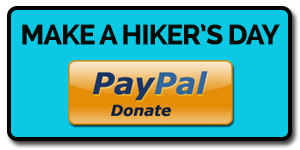 Because there’s only so much Magic an unemployed guy can spread (oh by the way, I quit my job), I want to expand the opportunity to make a hiker’s day to those who aren’t close to the Trail and/or don’t have the time. That’s right, you can be a bonafide Trail Angel without leaving your house. Step 1) Donate to the Trail Magic fund through PayPal (at the bottom of this post). Any amount you donate will go towards a Trail Magic session, whether it’s $1 or $1,000. Step 2) In the message area (or by emailing me), indicate exactly what you’d like me to include in your Trail Magic session (food / bev specifics). Also include any messages, well wishes, pieces of advice, poems, etc. you’d like me to pass along to our hikers. I will be documenting each Trail Magic session and posting them on AppalachianTrials.com for you (and the rest of the Internet) to enjoy. I will also include your message in an online recap, complete with with photos, videos, and stories. Step 3) (Optional) If you’d like to include any gratuity for our Trail Angel Liaison (i.e. me), please indicate so in the message area of your PayPal donation. Did I mention that I’m very unemployed? Also, gas is expensive. If no tip is indicated, 100% of your donation will go towards your Trail Magic session. Again, this is very optional. I will be keeping copies of all receipts if you do have any question. Q: Where will these Trail Magic sessions take place? Q: When will these Trail Magic sessions take place? A: See above. Roughly speaking the Magic will commence on 4/25/2014. Q: Can organizations donate product to be given away at the Trail Magic sessions? Q: Wait, is this actually an April Fools joke?